After announcing their XP3 Enduro just several days ago today Sonim announced the start of their partnership with Land Rover. 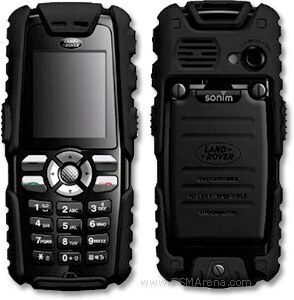 Together they`ll produce co-branded rugged mobile phones and the first models will see daylight next year. That seems to be a good move as it will certainly keep the popularity of Sonim growing and growing. The first two models should be available by mid-2009. These are Land Rover S1 and Land Rover S2 G4. A third one is expected to hit the market a bit later in 2009. The companies plan to contract with some of the top operators and to spread their phones in 40 countries. Just as the latest Sonim XP3, all Land Rover handsets will be submersible and should withstand salt, fog, humidity, transport and thermal shock. They are also supposed to survive a 1.6-meter drop to concrete. You can check the Sonim XP3 Enduro specs here.